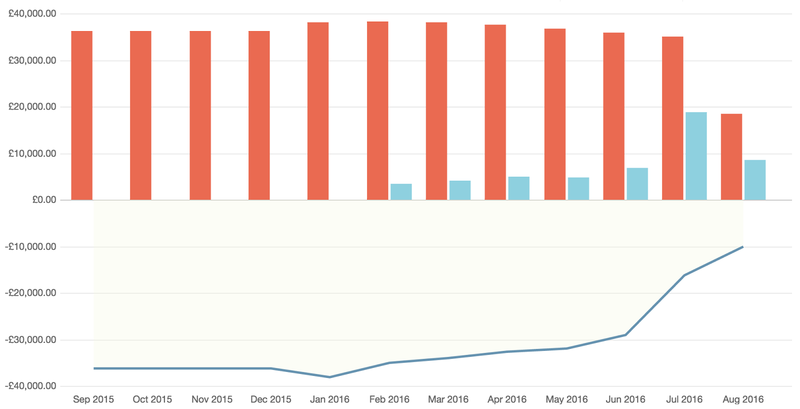 We have also managed to cut almost £900 a month in expenses (which of course has been funnelled into debt repayment) - that's over £10,000 a year that can stay safely in our bank accounts! As part of this extreme trimming exercise, last month my contract with EE ended and I said goodbye to mobile contracts...forever. From now on I plan spend a mere £12 a month on my phone, including necessary replacements of the phone itself. This will save me the princely sum of £252 a year off the needless £400 I have been spending. Do you really need a fancy pants phone? Buy a second hand phone - I see plenty of these, in good condition, on Gumtree and local Facebook selling groups. Buy a refurbished/pre-owned phone from a manufacturer. 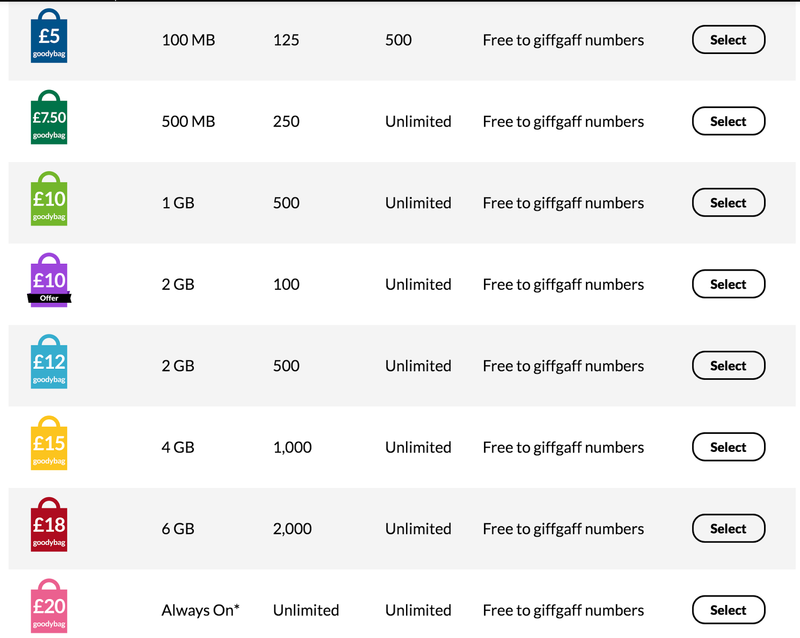 GiffGaff has iPhone 5C phones available from only £99. I have this particular phone and it's still going strong after two and a half years of heavy use. Consider lesser-known Android brands. Argos stocks plenty of SIM free smart phones, starting from as low as £39.99. If you only need it to run a couple of apps on top of the usual text/call functionality, then consider whether you could save cash investing in one of these. Oh, and always buy cash. If you get a mobile 'free' as part of a contract deal, you're borrowing for a mobile phone. You're buying a financed mobile phone. YOU HAVE A LOAN ON A MOBILE PHONE. Sounds bloody silly, doesn't it? Me? Once I've run this iPhone into the ground, if no family or friends have an old one gathering dust, I'm going to pick up one of these babies. With access to a computer during the workday and evenings, I'm not sure I need a smartphone any more. Why tie yourself down to one particular company? It took me about three hours, in total, to leave EE. That includes about 9 phone calls, various letters of complaint and a little internet research. This accurately represents the exasperating experience I had with them for the full two years of my contract and, unfortunately, it's hard to tell how you'll find a company until after you've signed on the dotted line. 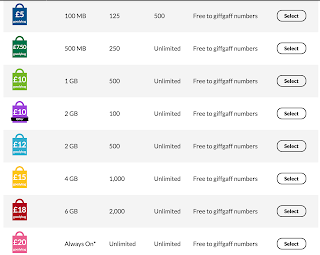 After various recommendations, I've just started up with GiffGaff** who offered the best value plan, without contract, for my needs. They offer the following fantastic deals. I'm currently paying £10 a month for 2GB data, 100 minutes and unlimited texts. 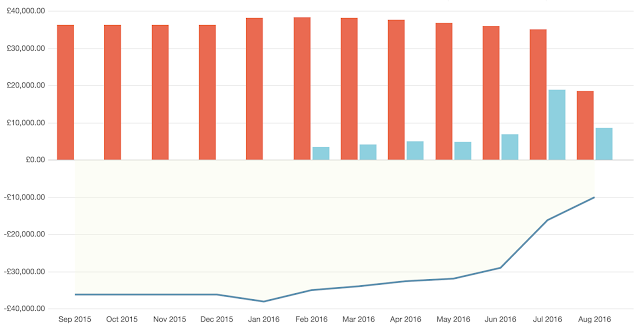 One month in, and I'm very happy with the service I'm receiving. I'm going to keep an eye on my usage over the next few weeks, and see if I can cut anymore. The great thing about plans like this is more credit can be added at a very reasonable cost, but no money will ever leave your account without you being aware of it. With EE, if you went over, the costs stacked up, which is why many people can be forgiven for over buying data when they sign up for a contract. With many of us spending most of our days with free access to wifi, either at work or home, it might be worth being conservative with your estimate and seeing how it goes! **By signing up using this link, both you and I will receive £5 credit. Looking forward to more blog posts!! I tend to do the leg work with these things. That means cooking, researching and budgeting on top of a full time job. I also give him some cash every month to blow on pre-prepared food and pubs (not very much though!). This keeps him happy in the short term. I do find it an uphill struggle sometimes, but it helps to remind him that it's all for something. He finds his job very stressful and we both dream of escaping somehow. Once I'd run the numbers to prove we could retire early, and with a healthy income he slowly started coming round. Most Saturday nights we talk about getting an old pile of bricks in France, or starting a campsite somewhere. I constantly re-iterate that I don't want to hoard money forever, I want to spend it! Just not on haircuts, frothy coffees and overpriced utilities! I am so glad to hear this! My other half is coming round to saving money by taking a packed lunch to work every day now - he was amazed at saving £20 per week! I am hoping by leading by example will show him the benefits of saving. We are getting there (slowly). Our mortgage free and early retirement days just seem so far off!